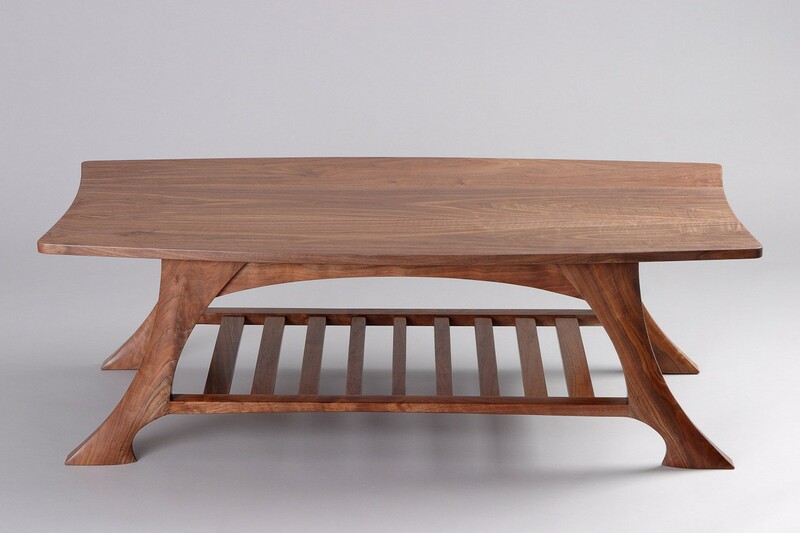 The Casa Grande Coffee Table features organic, sculptural legs hand carved from black walnut. 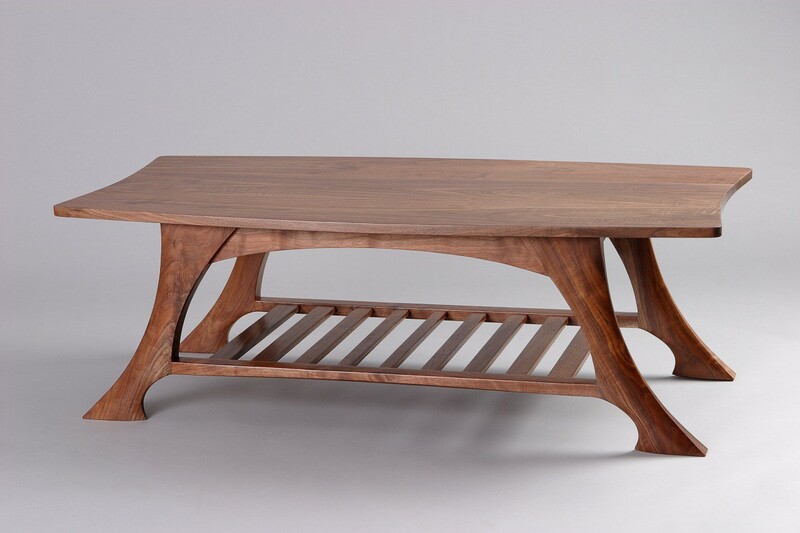 This solid wood coffee table has a curved top and useful magazine shelf. 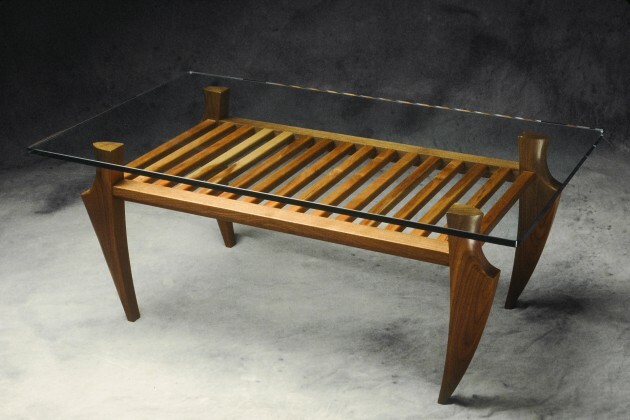 It is sturdy enough that it can be proportioned as a bench, or made taller as a hall table. 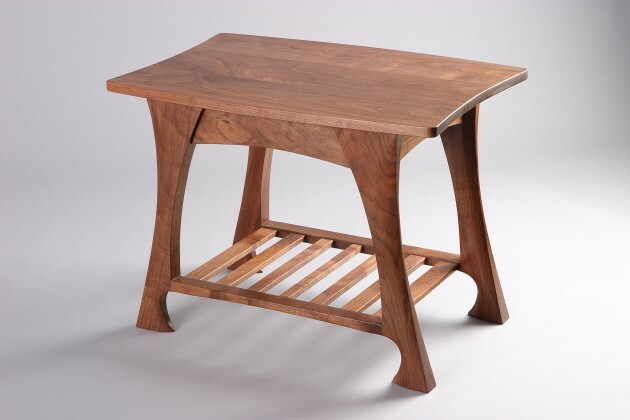 It is also available as the Casa Grande End Table or nightstand with a drawer.